The lodge started as a single remote residence that gave the owners a secluded outpost to marvel at nature and immerse themselves in the beauty of the Discovery Islands. It grew over the years with additions being built as the lodge grew in popularity. 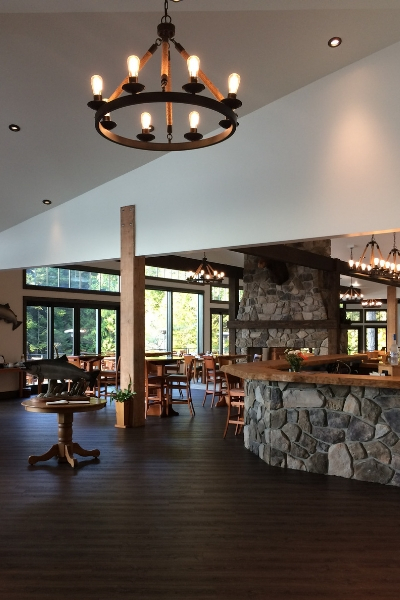 It became a rustic lodge for anglers chasing the iconic British Columbia salmon. As rooms were upgraded and amenities added, we reached the point that we knew was inevitably coming. It was time to restore the main building and return it to the luster deserving of its place as the heart of our oasis. The Nordstrom family saw the property’s potential when they purchased the resort in 1976. It was their vision that transformed the one-room home into a destination for anglers. Over time, the lodge grew to 4,200 square feet. It was the centerpiece where guests dined and swapped fishing stories. The pace of upgrades and renovations to the property picked up in 2006. It was a concerted effort to create a distinct and elegant place to pamper guests. When the final guests left for the season, it was time to get to work. The original lodge was taken down to the bedrock. 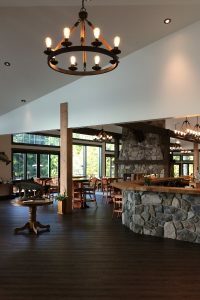 The design came from family visions that were carried out by local contractors that were familiar with the lodge and building in a remote environment. The goal was to keep the design rustic, natural and an overall look that blended with the B.C. coast. We’ll open this season with the renovations complete. The new lodge is bigger, giving us 7,000 square feet. There’s more natural light thanks to banks of new windows that let visitors soak in the beauty of the land. 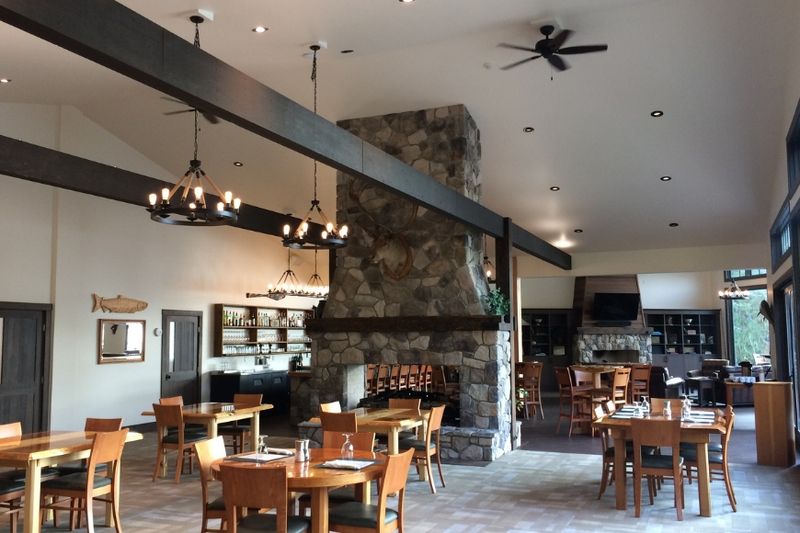 A much larger dining room provides increased seating for more people to enjoy the lodges well know cuisine. A floor to ceiling, see through fireplace faced with river rock connects the dining room and lounge. Seventeen-foot ceilings finished with wood beams and trusses give the entire area a roomy feel. Outside, the deck has been expanded for dining or enjoying a drink and glass railings provide for unobstructed views of Cordero Strait and Canoe Pass rapids. But it’s not all new inside the lodge. We’ve retained mementos, furniture and other elements of the old lodge that have been incorporated into the new space. The centerpiece of this homage is an 18-foot slab of wood from the old lodge. We’ve polished it and made it into the bar top in the lounge. Guests now arrive at the lodge to find this inviting gathering place. It’s a comfortable, warm setting that allows us to spoil them and give them an experience they won’t forget.